TV archaeologist Julian Richards is to lead a series of walks around the World Heritage site of Avebury this summer and autumn. 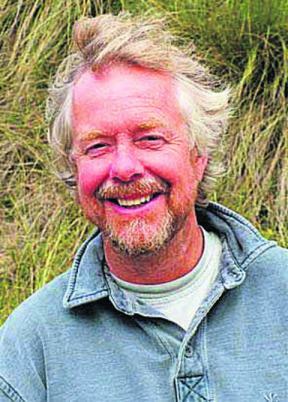 Dr Richards, who presented BBC’s Meet the Ancestors, is a noted expert on the archaeology of Avebury and Stonehenge and will be leading the Wessex Walks on Wednesday, June 6, Saturday, September 1, and Sunday, October 21. The seven-mile circular walks begin at the Avebury stone circle and takes in many of Britain’s finest Stone Age monuments, including the West Kennett Long Barrow and Silbury Hill, the 130ft tall, 4,700-year-old artificial mound, sometimes referred to as Britain’s answer to the pyramids. A home-made packed lunch is included in the £80 cost. The days are a new venture devised by specialist archaeological tour operator Andante Travels. 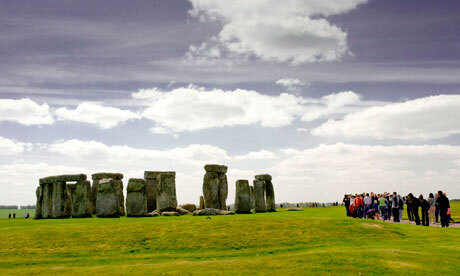 Olympic torch relay organisers have reassured tourism bosses that the Olympic flame will visit the iconic backdrop of Stonehenge, after it was left off the official relay route through the West. Instead of forming part of the public route through Wiltshire in July, the Olympic flame will be taken at dawn to the stones for a closed photo opportunity the morning after its overnight stop in nearby Salisbury. 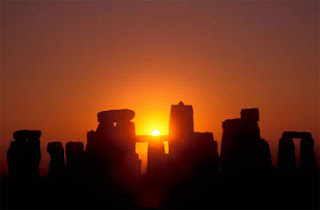 English Heritage, which manages the stones, and Olympic Torch Relay bosses confirmed the early morning visit after publishing a route which did not include Stonehenge or Avebury. 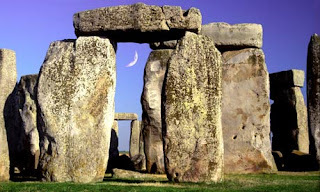 Western Daily Press reader Margaret Scott said: "Obviously Stonehenge is one of the major tourist attractions in Britain and it just seemed ridiculous if the torch relay is going to Amesbury but not going a mile to the west to be run around Stonehenge. They surely are not missing it out?" A spokesman for English Heritage said that they had been informed by the Olympic organisers that the torch would be driven to Stonehenge and back again early on July 12th, before it is scheduled to leave Salisbury Cathedral, for a photocall. "Rest assured the opportunity to have the Olympic torch at Stonehenge is not going to be missed," said a spokesman. The National Trust has also confirmed that the torch is due to be carried up to the top of Glastonbury Tor on Tuesday May 22 – again not as part of the published route, which merely suggests the relay will pound the streets of the town. But it appears there is not such good news for another of the West's historic sites. An exploration of the parts of the Stonehenge world heritage site that most visitors miss out on. Starting at Woodhenge, the walk includes a visit to Durrington Walls, the Cuckoo Stone and the ancient burial mounds on King Barrow Ridge. This is a trip back to 2500BC and beyond. While the Stonehenge stone circle was a place of burial in Neolithic times, Durrington Walls was where people actually lived and held feasts and rituals. The round barrows on King Barrow Ridge may also be around 4,500 years old. Durrington Walls – the largest complete henge in Britain. The area outside the ditch and bank was once a settlement, perhaps containing hundreds of houses, making Durrington Walls potentially the largest village in north-west Europe at the time. Woodhenge stood nearby as an impressive timber circle surrounded by a bank and ditch. In the restaurant of Amesbury's Antrobus Arms hotel , a 17th-century coaching inn where the Beatles stayed when shooting the film Help! on Salisbury Plain. Head for the Salisbury & South Wiltshire Museum in the King's House, a Grade I-listed building opposite Salisbury Cathedral, to revel in exhibitions of local archaeological finds (and there's fun stuff for kids too). From Salisbury railway station, take the X5 or the Stonehenge tour bus to Amesbury, then the 16 to Woodhenge. 1 From the car park go through the nearest gate and head away from Woodhenge through the north field. Walk downhill into Durrington Walls. 2 Next, turn left and walk to the corner of this field. Pass through gates either side of the road, heading towards a stone (the cuckoo stone). From here continue to the next gate. 3 You are now on the route of the old military railway between Amesbury and Larkhill; turn right and follow the path. 4 When you reach a crossroads and National Trust sign to King Barrow Ridge, turn left and follow the shaded bridleway. 5 At the junction turn right through a gate to continue along the ridge, crossing the Stonehenge Avenue on your way to a line of 200-year-old beech trees and a view of Stonehenge. 6 Continue forward to New King Barrows, a fine row of early bronze-age burial mounds, originally capped in white chalk so they would have been visible from a far distance. Retrace your steps back towards the junction then turn right to follow the bridleway. 7 Take a left turn through a gap in the hedge to join the old military railway. This leads back to the gate in the corner of the Cuckoo Stone field. 8 Head across the grassland to Woodhenge and back to Woodhenge car park. Fazenda and colleagues have been studying the roughly 5,000-year-old-structure's acoustic properties. Their work at the Stonehenge site in Wiltshire, England, and at a concrete replica built as a memorial to soldiers in World War I in Maryhill, Wash., indicates Stonehenge had the sort of acoustics desirable in a lecture hall.